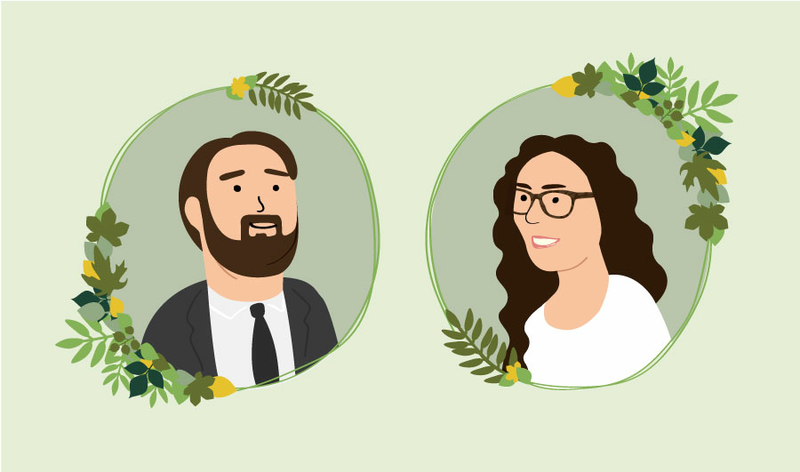 I illustrated Laura and David to create their save the date. My process included taking initial photos of them, sketching my concepts and then taking my sketches into illustrator while having the photos to reference them. I love how these turned out and the couple did too!